Elon Musk's quirky behavior has long been chalked up to that of a misunderstood genius. But never have his actions caused so much angst on Wall Street. Investors have for years endured millions of dollars in short-term losses in hopes of a long-term payoff. They might have even been able to stomach the $8.3 million US that Telsa Inc. burns through each day. But it was a conference call Wednesday night that left many wondering how much more they can take. Shares fell quickly in after-hours trading, and analysts began writing that Musk shouldn't bite the hands that feed his company's enormous cash needs because soon he may need more. By Thursday afternoon, Tesla stock had lost nearly six per cent of its value. The conference call behaviour was labelled bizarre by some investors. 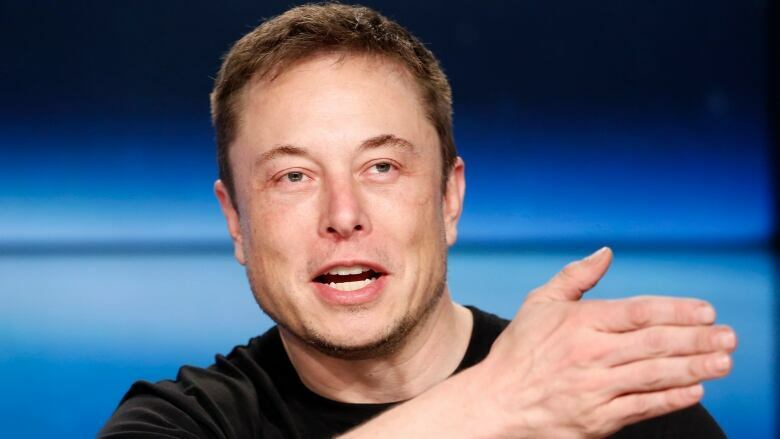 It also followed some recent wild tweets by Musk about building a cyborg dragon, how his eyebrows can grab things and an April 1 post in which he wrote, "Despite intense efforts to raise money, including a last-ditch mass sale of Easter Eggs, we are sad to report that Tesla has gone completely and totally bankrupt. So bankrupt, you can't believe it." A Tesla spokesman wouldn't comment on Musk. But the stock slide showed that Wall Street's seemingly endless patience with Musk — who is also a rocket scientist and tunnel company chief — may be growing thin. Musk, who has tweeted about sleeping at the Tesla factory, said they've overcome automation failures like a "fluffer bot" that couldn't install fluffy Fiberglas mats atop battery packs. The first-quarter loss hit nearly $710 million US with a cash burn of $745 million US. Free cash flow, which is cash generated minus capital spending, was a negative $1 billion US. GMT-8, 2019-4-20 14:43, Processed in 0.022485 second(s), 5 queries, Gzip enabled.